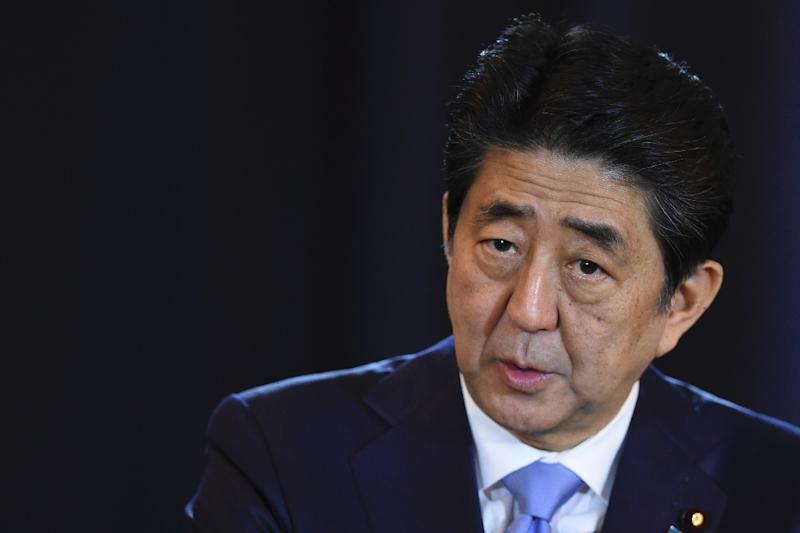 Tokyo (AFP) - Prime Minister Shinzo Abe will honour war dead but won't apologise when he becomes the first Japanese leader to visit Pearl Harbor this month, a top government spokesman said on Tuesday. The move follows Barack Obama's historic May trip to Hiroshima, the first by a sitting US president, where he spoke of victims' suffering but offered no apology for dropping the world's first nuclear bomb. Abe will pay his respects to those who died in Japan's surprise 1941 attack at the US naval base in Hawaii, which triggered World War II in the Pacific, and highlight a decades-old security alliance between the former enemies. "The purpose of this visit is to commemorate war dead, not to apologise," Chief Cabinet Secretary Yoshihide Suga told a regular press briefing in Tokyo. "The visit will serve as an opportunity to demonstrate to future generations our resolve not to repeat the horror and suffering of war as well as an opportunity to showcase the reconciliation between Japan and the United States," he added. US Defense Secretary Ashton Carter, who is in Japan as part of his last Asian tour, echoed those sentiments Tuesday. "The US-Japan alliance has never been stronger than it is today," Carter told reporters during a visit to a Japanese destroyer. "It's a two-way stream, equal benefits for both countries. That's necessary because we face many common responsibilities and threats," he added, without elaborating. Carter, who is meeting with Abe later in the day, welcomed the Japanese leader's visit to Hawaii. "One thing I will be sure to say to (Abe on Tuesday) is how pleased President Obama is and we all are that he will be visiting President Obama in Hawaii in a few weeks' time," he said. Abe -- a nationalist who has been criticised for playing down his country's wartime record -- will be in Hawaii on December 26 and 27 for talks with Obama, who will join him at Pearl Harbor. This year marks the 75th anniversary of the deadly December 7, 1941 assault on the US naval base that left about 2,400 Americans dead. The war ended in August 1945 after the US dropped two nuclear bombs on Japan and, although the countries have forged strong ties in the seven decades since, how the war began and concluded has cast a long shadow. In Hiroshima, Obama and Abe went to an atomic bomb memorial that honours some 140,000 people who died in the bombing or later from radiation exposure -- a visit that sparked speculation that Abe might go to Pearl Harbor in return. The US leader lay a floral wreath and reiterated his call for the abolition of nuclear weapons but did not apologise for the attack and a subsequent bombing of Nagasaki that ended the war. Abe's visit to Pearl Harbor also comes as Japan prepares to build a new relationship with Donald Trump, who will take over from Obama next month. Trump sent shockwaves through Japan earlier this year when he appeared to call into question the two countries' security alliance, prompting Abe to become the first world leader to meet him after the election to confirm the relationship.